– my (what could be your) Ultra journey…..
Where did my journey start…? Back in 2009 whilst having a few shandies on my Christmas do with the staff from St Anne’s Academy, I came to the conclusion, ‘I have done a bit of running, yet I need a challenge, well stuff it I will run a marathon.’ Bearing in mind that two years prior to this I was 99kg in weight and going in the wrong direction – this was a ballsey move! That night I asked seven other colleagues and told them there was no backing out and that I am entering them all for this in the morning. Surprisingly the following morning, it became apparent I was on my own on this journey, which I guess is what marathon running essentially is. It’s just you against the distance. So I entered the Edinburgh marathon, I followed a schedule but also added a few of my own ideas into the mix too. For example, my bus stop runs. This basically was how I built up my mileage and distance. I would get the bus to a stop at a certain distance then run home. Each week I would get off one stop further and before you know it you have a 20/22 mile run. On the day of the race, it was one of the hottest days in Scottish History and was actually heading over the twenty-nine degree mark. After one mile there were several runners dropping out from heat exhaustion. It made me realise just how tough the ask was. As you can imagine, my mood went through the usual ups and downs during the race. Each “down” was exaggerated by the burning sensation on the bottom of the feet and of course some amazing blisters. At the end of the marathon, I said to my wife, Liz, those magical words, “I will never do that again”. I completed the marathon in 3 hours 25 mins. Running marathons feels like you have achieved the impossible and when all is said and done, you have nothing more to give. In the following months, I took the plunge and joined a running club. It would take me another 3 years before I mustered the strength to do another. But with lots of fell running and added strength and experience I decided to attack the 2:45 marathon time. In 2012, I entered the Manchester Marathon. I trained harder than I’d ever training before and was achieving each of my target times, and coming second place in the Blackpool half along the way. At the time, I’d thought that there was no chance I wouldn’t get my target time. However, (I am not one for excuses, but…) the weather was horrendous and I’d made some shocking decisions that backfired. I ran in just a vest, short shorts, a buff and it was winter like weather. It was -5 wind chill that day and I ended the race collapsed and woke up with medics surrounding me. I had gone off too quick so I was exhausted and parts of the course were flooded. Coupled with the arctic weather, it resulted in myself becoming hypothermic. I didn’t let this knock me down though and knew the times would come eventually. I made the decision to do Cork Marathon only 5 weeks later, I made improvement to take my time to 2:51. I actually ran it in my Vibram five-finger barefoot running shoes and ran one of the fastest times in the world (at the time) wearing these barefoot shoes. I wasn’t done that year; I then ran Chester Marathon in 2:47 and was naturally gutted to just miss out again on my target time. At the start of 2013, I started my business, Cannonball Events, and decided to organise a few Ultra-marathons. It was at this point that I thought to myself, “If your going orgainse them you need to run them too”. I decided to train for Ultras of 50km (31 miles). I entered the White Rose Ultra, with basically the target of training for Chester Marathon and using the mileage achieved to good effect with intentions of completing the Ultra – nothing more. As this was only 1 month after the marathon, I needed to make sure my preparation and recovery was spot on. A bold move, but one I knew would work if I trained correctly. This time I designed my own program; I included trail runs and hill sessions as part of the program. I knew that if I could use the speed I had from the marathon running, combined with the strength required to run the fells that I could do quite well. Several of my long runs were on the Rochdale Canal (Canalthon Route) and Calderdale Way (CWUltra Route). Both routes offer highly runnable paths and traffic free training grounds. Awesome for training and making training or running feel free from the hustle and bustle of everyday life). My interval sessions would often involve picking a 5k loop (similar to the Trailblaster 12 route), and using them to boost my distance and pace capacity. I found having measurable distances that were familiar had helped me to develop a feel for pace and how certain paces felt. It helped me to reduce the chance of injury too, running on softer ground. During my first Ultra I had found that the speed aspect was my best and worst weapon. Leading the race from the word go had meant that I had no one to follow. In turn, this lead to me getting lost at least three times and adding a further five miles onto the distance. I still managed to come second in the race and only a few minutes behind the winner. At the time, I was pleased and looked back at how I had built up to be able to run my eventual 35miles at a decent pace and was content. Nonetheless, the biggest takeaway from the race I took was the fact that I felt that there were certain aspects of the race I would have improved on if were I orgainsing it. Organising races is not easy and I knew that more than most. It gave me a great insight into how I could structure my navigational aids to help the runners, which led me to create the bespoke race map for the Calderdale Way Ultra (see photo), as well as the importance of offering recces as part of the package. Inspired, I looked for another Ultra in December and found one – the Frostbite 30 sponsored by Berghaus. I selected this as it was over very similar terrain to the Calderdale Way. It would offer me a similar experience to the runners racing in our race. I had led from the word go and ran the entire race from the front breaking the previous years record by 15 minutes. During the race, I used all my pacing strategies and stuck to my game plan. Regardless of how far I got in front, I had a plan and I stuck to it. I now had the experience of running 30 miles and was mentally ready for this. I ran several miles on my own and used the ultra to enjoy the views and dream of what a victory here would lead to. After winning the race I had convinced myself that I could do a 50 miler, I had used marathons and shorter Ultras to build up to bigger challenges. It was that that inspired me to add the shorter version of the Calderdale Way Ultra into the package. The purple route shows the shorter route of the two races. (photos of shorter route). Having completed the two 30-mile Ultras, I began training with a good friend of mine Nick Barber and decided to enter the Lakeland 50 mile Ultra. This was much tougher than the ones I was orgainsing but was similar in the sense that several of the paths were visible and it was a highly runnable course. 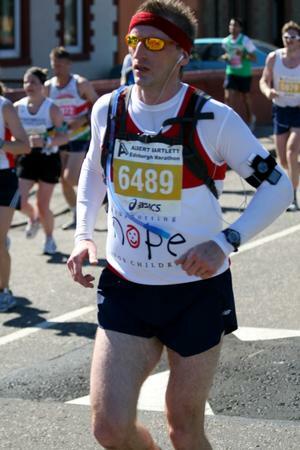 I had built up my distance from marathon, to short Ultra marathons to attempting a 50 miler. I had felt that with the sufficient practice on the course, or with the specific training for what lied ahead, I would be fine. We trained the course on five occasions and strategically planned the recces to suit the distances we needed and to implement our game plans in the race. When the race began, the first 15 miles were great but the remaining 35 miles were some of the toughest miles I would ever run. However, the lesson is that you can run the distance, but giving up is a state of mind and is more about your mental fortitude than your physical state – The next 35 miles were testament to that. At the twenty-mile mark, I was gone. I couldn’t put one foot after the other, I felt that we had gone off too fast and I wanted to give in every step of the way. 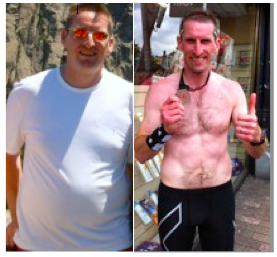 I saw Garry Wilkinson (GW FitnessandRehab) and he got me going again very slowly at first and then the momentum carried on and I simply used each checkpoint as a goal. The remaining miles were extremely testing, especially the last four where at one stage I was heading off out of the aid tent in the wrong direction. I Saw Audra Banks From Outdoor Angels and fortunately she ran after me and turned me round, at this stage both I and Nick just wanted to see the finish. We completed the race finishing first pair in a time just over 10 hours. It was at that stage that I realised that anyone can be an Ultra Runner. It just needs dedication, mileage, preparation and most importantly mental toughness. I have also since completed two marathons in 2014 Manchester (2:41) and Berlin Marathon (2:40) – so maybe it was all these extras miles from the Ultras that made the difference. Ultras miles into marathon smiles… the same works. If you want to run an ultra and feel that you’d like to write your own ultra story, or that you can relate to elements of mine, take a look at the races we have to offer. You can also follow the company on Twitter or Facebook, we have race pages for all our races and all the information can be found on our Ultras through the following pages. 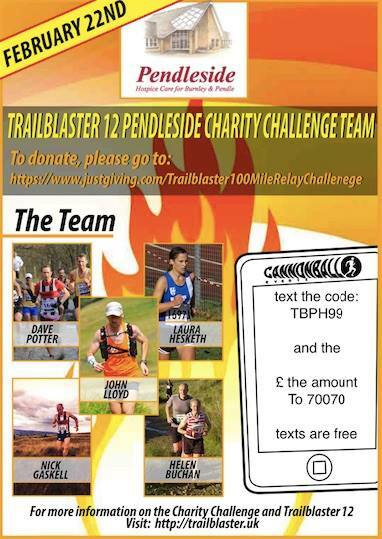 Lastly, don’t forget to come and support us in Towneley on February 22nd, as our Trailblaster Charity Team attempts to race 100 miles over 12 hours, to raise money for Pendleside Hospice. Full details can be found here, whilst donations can be made here. We will be producing much more regular blogs now too, one on the 1st of every month. Thanks for reading. Thanks for the blog. You’ve achieved so much, didn’t realise you were so new to running. I started around the same time…..don’t have your pace….but it just shows. My first ultra was your Canalathon last year. I could happily blame you for my entry to the 75k this year, and Race to the Stones in the summer. Yeah, I think once I have finished with the marathon, I am going to maybe get back into them. Race to the stones looks like a cracking race, very similar to the CWUltra in the sense that the paths are great and highly visible. Excellent post John. Really looking forward to having a bash at the Trailblaster 12 this summer!